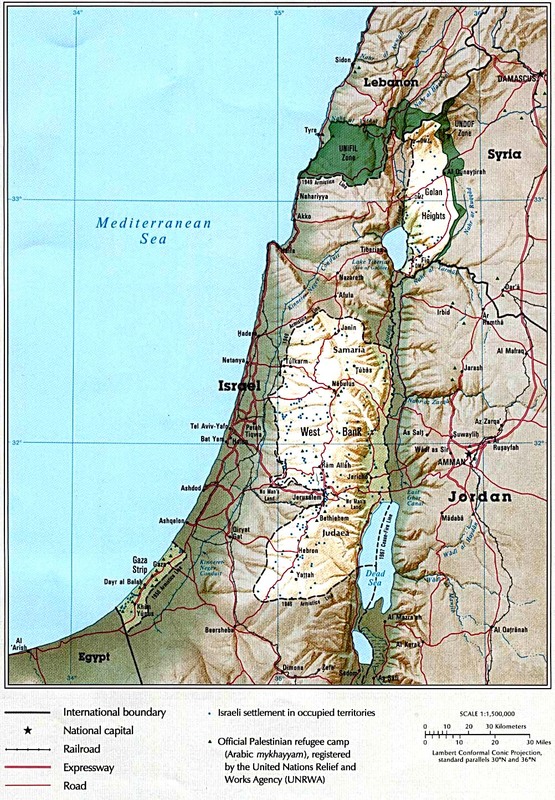 Palestinian refugee camps were established after the 1948 Arab–Israeli War to accommodate the Palestinian refugees who fled or were expelled during the 1948 Palestinian exodus. United Nations General Assembly (UNGA) Resolution 194 states that the Palestinians have a right to return to their homeland, if they wish to "live at peace with their neighbors". "persons whose normal place of residence was Palestine during the period 1 June 1946 to 15 May 1948, and who lost both home and means of livelihood as a result of the 1948 conflict." UNRWA's definition of a refugee also covers the descendants of refugee males. The number of registered Palestine refugees (PR) has grown from 750,000 in 1950 to around 5 million in 2013. Many Palestinian refugees remain in Palestinian refugee camps to this day, while others have been absorbed into Jordanian society or the Palestinian territories. UNRWA recognizes facilities in 59 designated refugee camps in Jordan, Lebanon, Syria, the West Bank and the Gaza Strip. It also provided relief to displaced persons inside Israel following the 1948 conflict until the Israeli government took over responsibility for them in 1952. For a camp to be recognized by UNRWA, there must be an agreement between the host government and UNRWA governing use of the camp. UNRWA does not itself run any camps, has no police powers or administrative role, but simply provides services to the camp. Designated refugee camps, which developed from tented cities to rows of concrete blockhouses to urban ghettos indistinguishable from their surroundings (effectively becoming urban developments within existing cities or by themselves), house around one third of all registered Palestine refugees. UNRWA also provides facilities in other areas where large numbers of registered Palestine refugees live outside of recognized camps. This lists the current Palestine refugee camps with current population (2014) and year they were established. The Gaza Strip has 8 refugee camps and 1,221,110 registered refugees. The West Bank has 19 refugee camps and 741,409 registered refugees. One camp is unofficial (*). Syria has 13 refugee camps and 499,189 registered refugees. Three of these camps are unofficial (*). There are 12 refugee camps in Lebanon and 448,599 registered refugees. There are 10 refugee camps in Jordan and 2,034,641 registered refugees. ^ a b c "Who We Are - UNRWA". UNRWA. Retrieved 8 January 2014. ^ "Where We Work - UNRWA". UNRWA. Retrieved 8 January 2014. Wikimedia Commons has media related to Palestinian refugee camps. The Empire Files: Inside Palestine's Refugee Camps (October 2016), Abby Martin for The real news network and TeleSUR. A video report from the Balata and Aida camps in the West Bank (30 minutes). This page was last edited on 12 November 2018, at 13:07 (UTC).